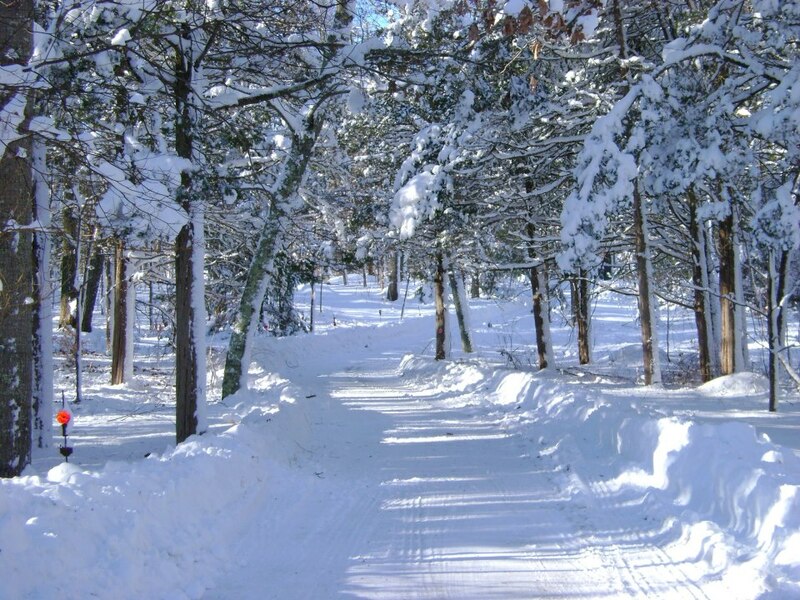 Algiere’s Landscaping, a Preston, CT snow removal company, cleared this driveway last year. Looking for Snow Removal Companies in Southeastern Connecticut? Call Ben or Michelle Algiere at Algiere’s Landscaping today on (860) 376-2895 for all of your snow removal needs. We are one of only a handful of snow removal companies in Preston CT and promise we’ll be over as soon as we can to take care of your snow removal needs. Your driveway may look like an iceberg right now but to us it’s a challenge! We’ve got everything we need to take that block of ice and turn it into a safe, salted, and plowed drive the whole street will envy. There’s no inconvenience or hassle. You don’t even need to give our snow removal men a cup of hot chocolate! We will come to your home, clear the snow, salt it for safety, and go on our way. So call Algiere’s Landscaping, get yourself a hot drink, and watch from your window as someone else puts their back into it and gets you moving again. As well as snow clearing for our residential customers, we can help if you have a commercial property. Are you a property manager looking for a reliable snow removal company? For our commercial clients we also offer off site removal to keep the snow from piling up in your parking lots. Your parking lot is a place to park cars, not to make snowmen! The Preston Department of Public Works only looks after town streets and public parking lots. They do not clear lots for businesses and commercial properties. So give us a call at 860 376 2895 to arrange fast, thorough snow removal so you can welcome customers back to your business. Your customers, staff, and liability insurers will thank you for it. Snow removal isn’t complicated, but it’s a hassle you can do without. Algiere’s Landscaping will take care of it so you can concentrate on running your business. Our rates are very competitive but, because everyone’s driveway, walkway, or parking lot is different, we can’t say how much we will charge without coming to see you. Rest assured that we will be fair with you. Residential clients usually pay us at the time we plow their driveway and (if needed) shovel their walkway. We have been a snow removal company in Southeastern CT for over 5 years, so we know how much work is involved and a fair amount to charge. We have an excellent reputation among snow removal companies and many repeat customers for our services. You can trust us to look after your snow removal needs at a reasonable price. Our insurance company requires contracts for all commercial clients. We don’t want you to miss out. With a monthly or seasonal contract, you can rest easy knowing that we will find time for your snow removal all winter long. Something tells us it’s going to be a long winter. Don’t let snow removal get you down. Call Ben or Michelle Algiere at Algiere’s Landscaping on 860 376 2895 to arrange an urgent visit and have one thing less to deal with this winter. This entry was posted in Uncategorized and tagged snow removal, snow removal companies, Southeast CT, Southeastern Connecticut on November 25, 2014 by mspetersonexplains.